Every time I get in my vehicle, I am reminded of the Wright Brothers’ story, as “First In Flight” is proudly displayed on my license plate. The story of their success is nothing short of astonishing. It’s hard to imagine that what started out as a small gift from their father – a toy helicopter made of cork, bamboo, and paper would turn into an era of aviation. The day after Orville received the toy helicopter, all he could think about was how he could improve it. Could it fly twice as high or twice as long if it were bigger? What if it had more propellers? The year was 1878, and there were no answers to such questions. The story of the brothers’ ingenuity was evident from the very beginning. The Wright Brothers established a successful print shop early on, then a thriving bicycle shop. They were always thinking. Always tinkering. Always observing. Wilbur’s observations of hawks and buzzards led to evenings of long talks with Orville. These conversations were the beginnings for the design and construction of the airplane. After many sketches and constructing wings, they we ready to test a kite that moved like they wanted. The experiment was a success. The brothers soon set out to find a private, windy location suitable for flying a glider. It was in the fall of 1900 when they first stepped foot on the sands of Kitty Hawk, NC. Many tests, tweaks, and trips back and forth from Dayton to Kitty Hawk were made in those years of trying to make a machine that would allow man to fly. Their persistence and optimism certainly paid off that cold day on December 17, 1903. Little did Orville or John know that this photo would become one of the most reproduced images of the twentieth century. Our family used this as our morning read-aloud. I was as much interested as the kids (7th and 9th grade). YWAM also provided us with a downloadable study guide. The guide is filled with an introduction to how to use the guide, key quotes, chapter questions, student explorations, social studies, and much more in an 83-page pdf. There were absolutely so many ideas packed in this guide, you could have a well-rounded history curriculum using just a handful of these books! Maps, a timeline, and fact sheet are also included. We used a few of the chapter questions orally for spot checking. We also had great discussions about how the story of Orville Wright tied in with current events, as well as the bond between the two brothers. Of course our big culminating event was a trip to Kitty Hawk! 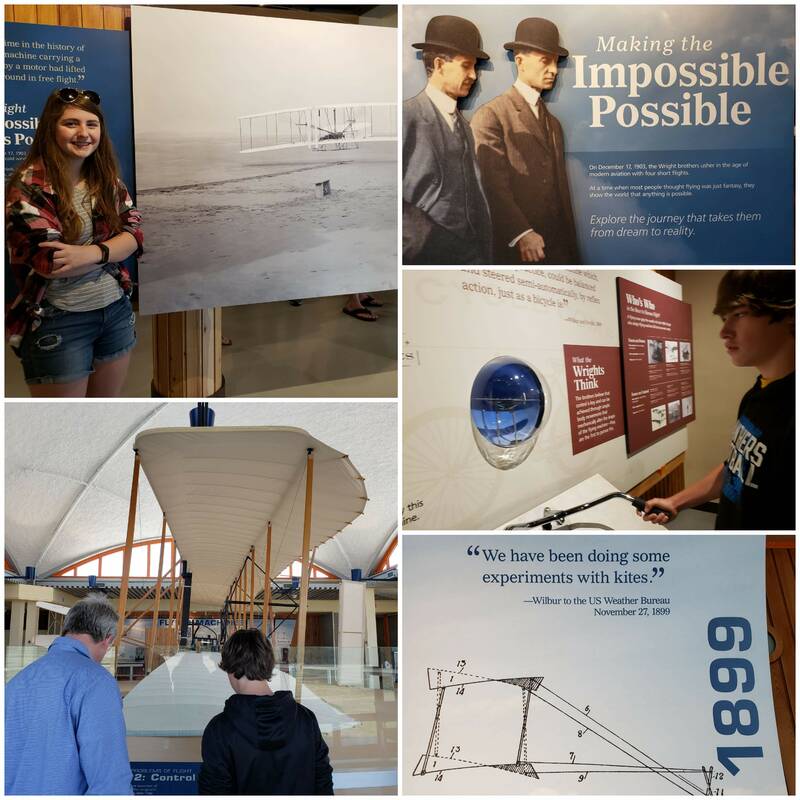 Thanks to Heroes of History- Orville Wright the kids did not rush through the museum! It was great to see them slow down and examine the displays and read the descriptions. We were able to see the exact place where that first flight took place, and the actual length it flew. I couldn’t help but feel goosebumps! There is also a recreation of the infamous photo turned into a life-size sculpture that you can climb on and lay right next to Orville! 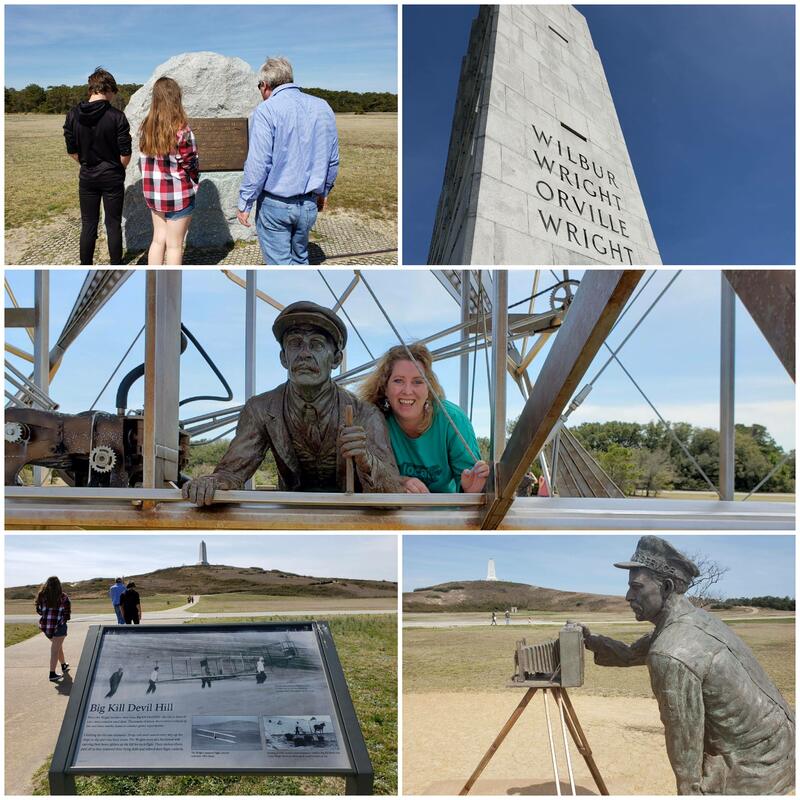 We also visited the 60-foot monument atop Kill Devil Hill marking the site of the hundreds of glider flights that came before engine-powered flights. It’s amazing to see these actual places that we had been reading about, and think about the excitement and struggles the brothers faced. I’m looking forward to reading a few others I purchased at a homeschool convention last year that we haven’t read yet – and they have the unit study! YWAM is always a popular spot at conventions this time of year, so be sure to grab a few! I’m not the only one who read a great book from YWAM Publishing! Check out what other reviewers chose just below.